The founders of Sterling Studios have all come from backgrounds in fine art painting or antique restoration. 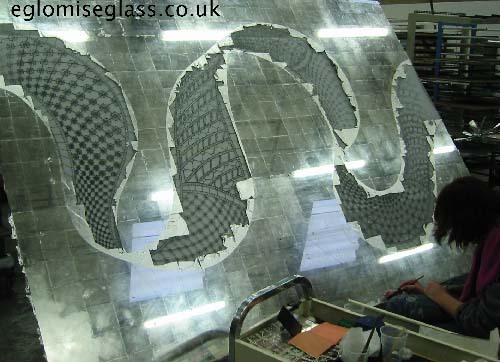 We know that attention to detail is paramount to the success of any project, large or small. 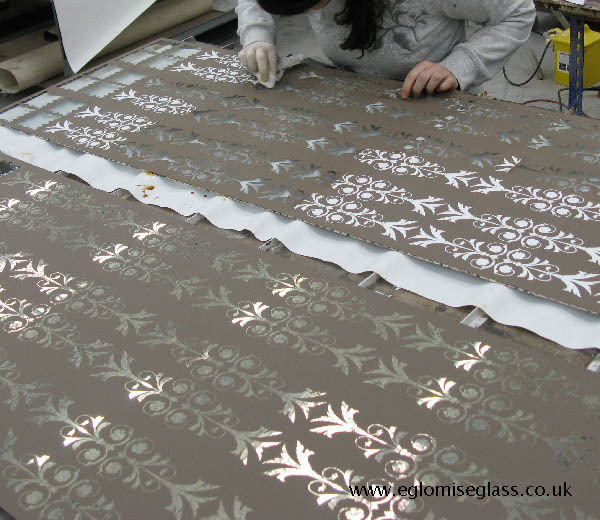 Our training, knowledge base and 75 years collective experience enable us to experiment freely with materials and produce work which is unique and innovative as well as more traditional decorative finishes. 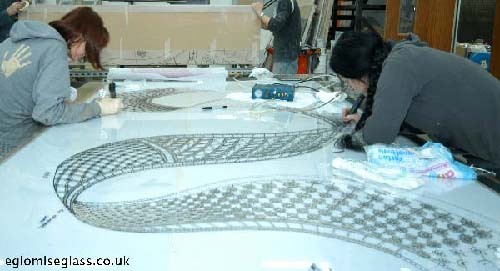 Sterling Studios is set up to be a creative, fast and effective, research -based decorative arts company. Our reputation is built on the trust and confidence of all our customers and is one of our most valuable assets. As the demands of the industry change, we are committed to our core values of efficient service, creative design and technical innovation. Through our knowledge of materials and of the industry, and our problem solving skills, we aim to be an invaluable resource to our clients. 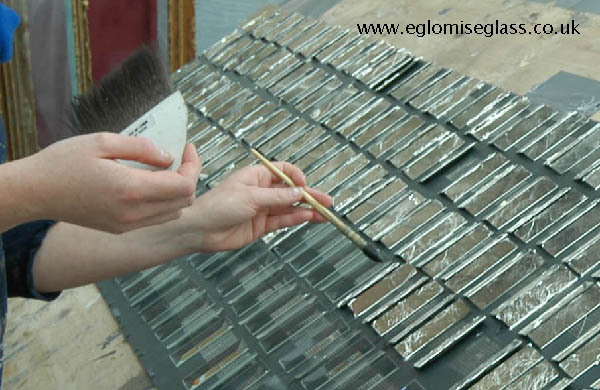 Preparing the painted background for gilding, the gold is then protected with paint, the individual panels of verre eglomise are then cut to the right size. 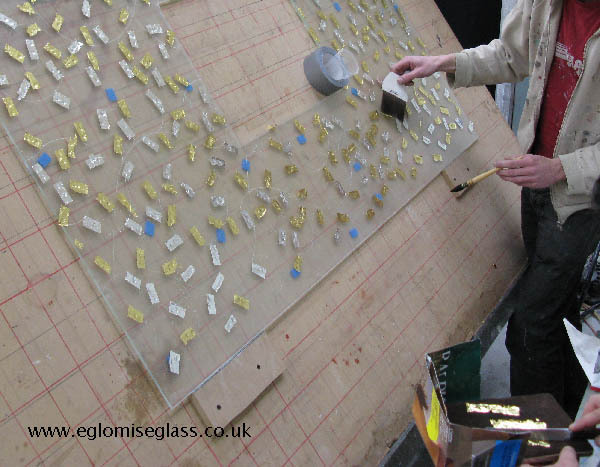 Gilding the back of eglomise glass with gold and silver leaf where a design has been carved out with a sandblaster. 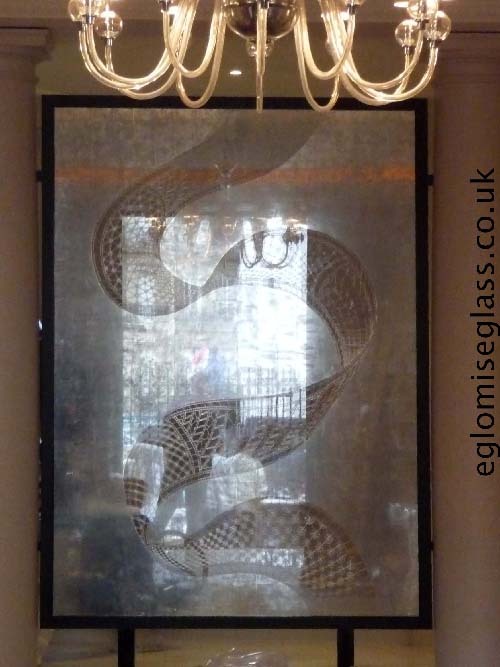 The finished eglomise glass, with the background in silver leaf. 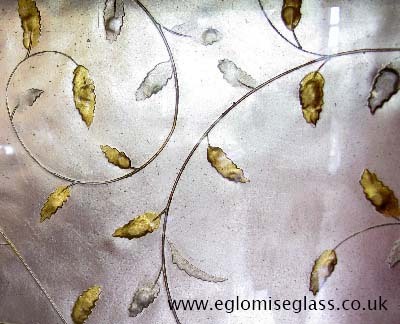 Water gilding with silver leaf on the back of bevelled glass. 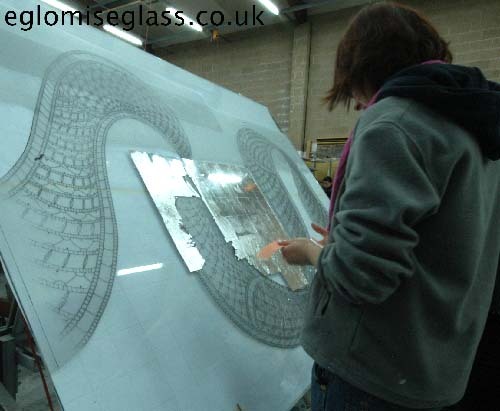 Painting the back of the glass.